As 2017 comes to a close, we're taking a look back at the top stories on Around the O. For the Campus News and Workplace sections, it was a year of people — from new hires and special guests to recognizing our colleagues on campus. 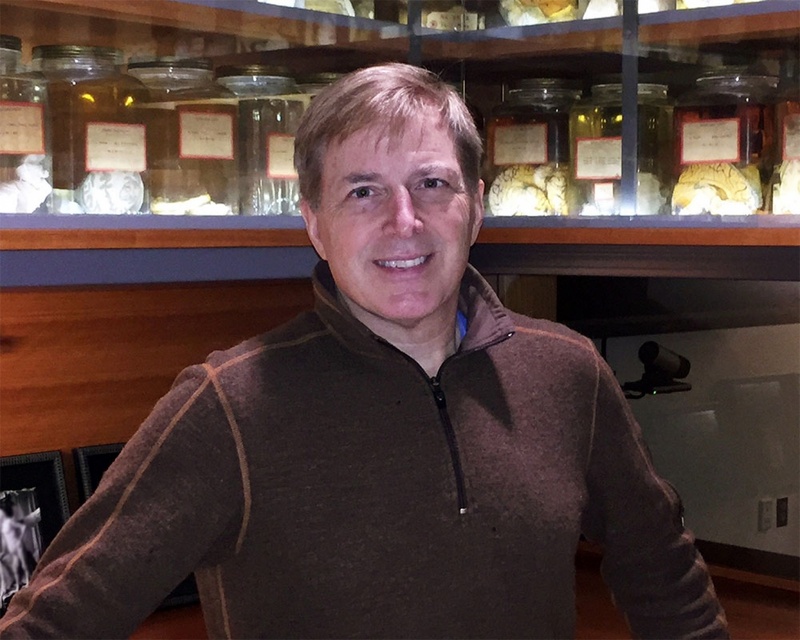 As part of a goal to hire more tenure-track faculty, the UO hired David A. McCormick of Yale University to head the university’s Institute of Neuroscience and serve as co-director of the Neurons to Minds Cluster of Excellence alongside UO psychology professor Ulrich Mayr. The story of his beloved canine companion was also among the most-read workplace news stories in 2017. An expert in property law, land use law and federal natural resources who served in President Barack Obama’s administration was tapped to lead the UO School of Law. Marcilynn Burke was previously an associate dean and associate professor at the University of Houston Law Center. Jayanth R. Banavar, a distinguished physicist and dean at the University of Maryland, joined the University of Oregon as provost and senior vice president over the summer. As the chief academic officer, Banavar pledged to use his experience in interdisciplinary collaboration to advance the university’s scholarly and research mission. With an eye to the future, the UO renamed and reorganized the school formerly known as “triple A” into the new College of Design. The change, vetted by the design school community, university leadership and the University Senate, includes a new structure round four disciplines. News of the Knight Campus taking shape was the top Around the O story of 2017. Each story about new developments — such as the selection of the architects, hire of the Oregon-based construction firm, selection of Robert Guldberg as executive director and the release of the designs — were among the most read Campus News stories of 2017. President Michael Schill started the academic year with major news of a $50 million anonymous gift dedicated to investing in academic excellence. Schill identified five initiatives to fund, including data science , Black Cultural Center programing, the Oregon Research Schools Network, matching funds for faculty chair positions, and the Media Center for Science and Technology. The outspoken activist and celebrated author of “Between the World and Me,” the 2016-17 UO Common Reading selection spoke to a sold-out Matthew Knight Arena in early 2017 as part of the UO’s African American Speaker Series. Coates touched on a number of issues that surfaced in the year prior about racism, social justice and the African-American experience. In 2017, the UO continued to work on meeting the demands of the Black Student Task Force, including creating a new academic residential community and fundraising for a Black Cultural Center. At the start of the year, President Michael Schill announced the new center and his decision not to rename Deady Hall. Later in the year, former Dunn Hall was renamed for celebrated black alumni DeNorval Unthank Junior. The families of at least two local college students received fake but frightening kidnapping ransom calls at the start of 2017. The phone scams had been reported around the country, but this was the first report involving local students. The UO Police Department warned campus community members and families not to fall for the extortion attempts and offered advice on what to do if a person receives such a call. A story about the UO’s first African-American student and her involvement in the civil rights movement anchored a multimedia story about Black History Month at the UO. The story featured several current students, an advisor and a professor of ethnic studies who reflected on the significance of celebrating and recognizing the blacks and black culture in American history.